Valentine’s Day is right around the corner and that means classroom parties. 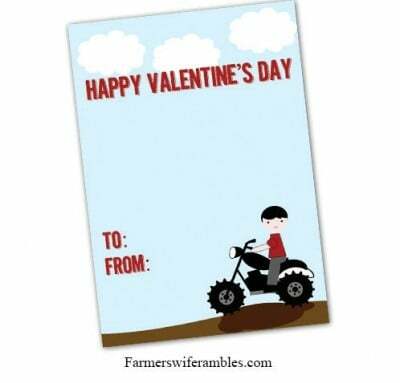 I don’t know about you but I’m not a big fan of purchasing the Valentine’s from the store but I tend to now want to spend hours making my own. I guess you could kind of say I’m lazy that way but yet I want my son to have something unique for this day. 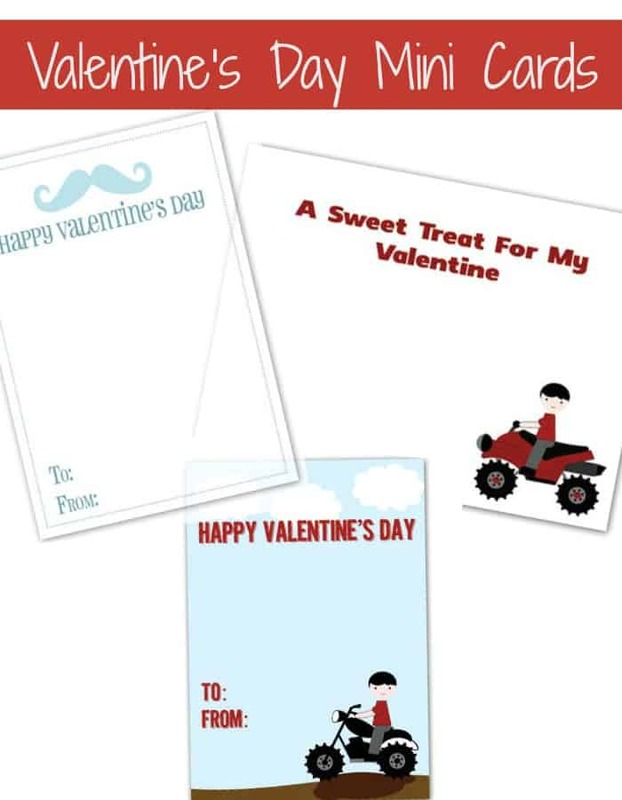 I printed off a combination of the below 3 Free Printable Valentine’s Day Cards and attached a small piece of candy to each one. Coulter signed his name and we are done (actually finished early even)! Motorcycle Valentine’s Day Mini Card – This printable prints 4 to a page. 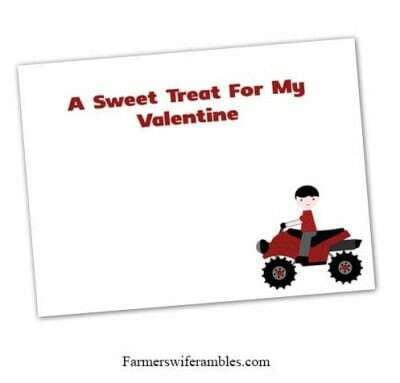 Four Wheeler Valentine’s Day Mini Card – This printable prints 6 to a page and is perfect for the bite size candies. 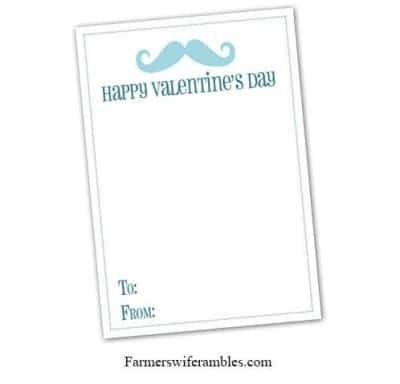 Mustache Valentine’s Day Mini Card – This printable prints 4 to a page. Enjoy these 3 Free Printable Valentine’s Day Cards for your own child’s classroom. These are such cute printables. Thanks for linking up! Oh, these are sooo fun! Thank you for sharing!